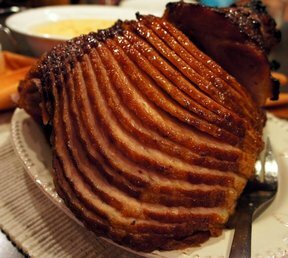 Pork production today has drastically changed to produce much leaner meat than what it did 25 years ago. 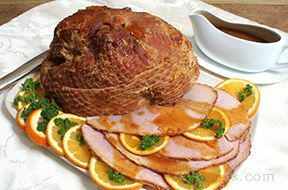 Better breeding and feeding of the hogs and a grading system that stimulates the meat packers to trim more of the external fat than they did in the past has resulted in leaner meat. 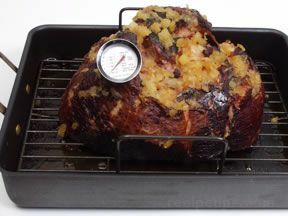 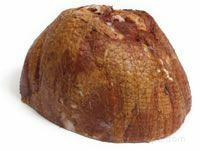 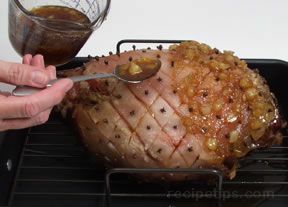 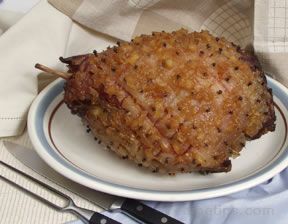 The ham leg is one of the pork cuts that contain the least amount of fat. 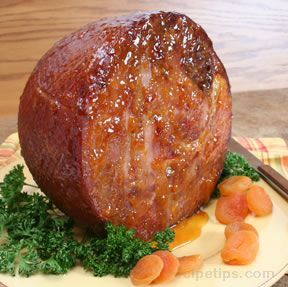 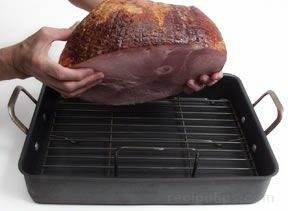 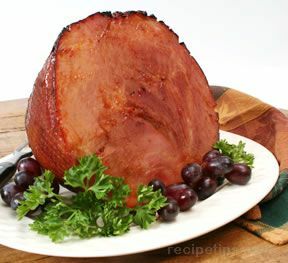 Ham contains a high level of some of the essential B vitamins, such as B1, B12, and niacin. 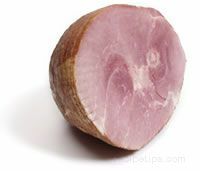 It is also rich in other nutrients, such as phosphorous, zinc, potassium, iron and magnesium, which are important to our daily diet. 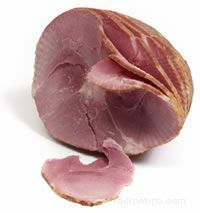 Our bodies require a certain amount of protein daily and the body does not store protein so we need to replenish it each day. 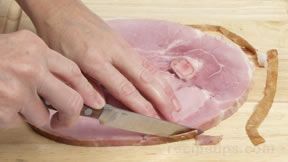 A 3-ounce portion of ham provides approximately 30% to 50% of our daily requirement for protein, depending on the type of ham. 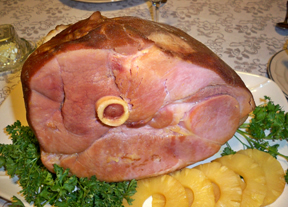 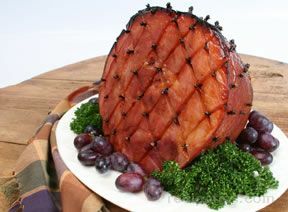 Ham is high in sodium due to the curing process. 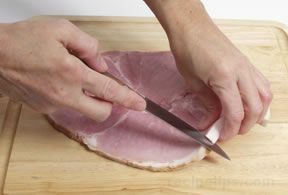 It can contain half of the daily-recommended intake for sodium. 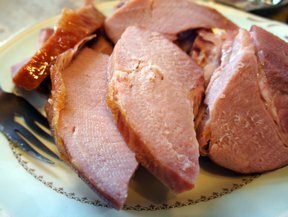 When planning a menu that includes ham, you should add items that are low in sodium to try to keep your total sodium intake down. 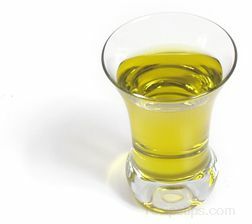 Our bodies also require fat in our diet, which allows our bodies to absorb vitamins that are fat-soluble and gives us energy. 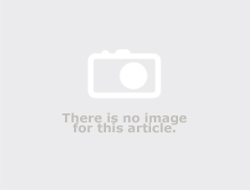 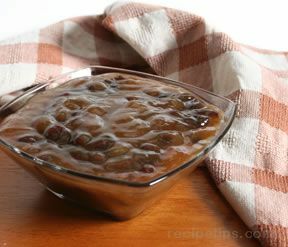 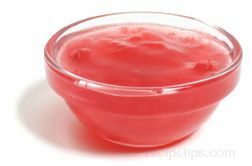 But, too much fat is not healthy and will increase our cholesterol levels. 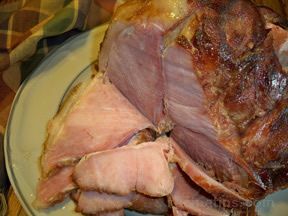 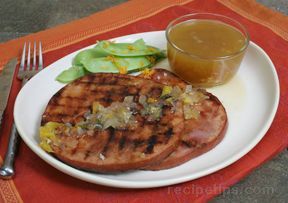 Ham is naturally low in fat but its outer surface will generally have a layer of fat that adds flavor and juiciness to the meat as it cooks. 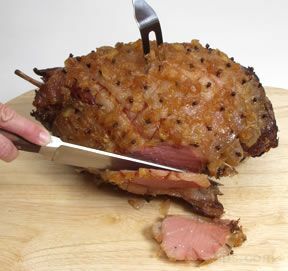 The fat should be trimmed off before serving. 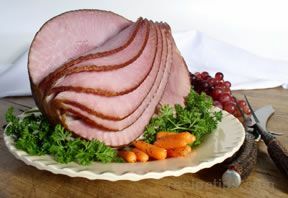 Shown below is a chart containing a general comparison of calories, fat, protein, and cholesterol content between ham and other meats. 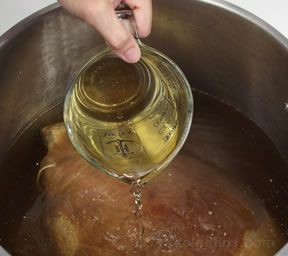 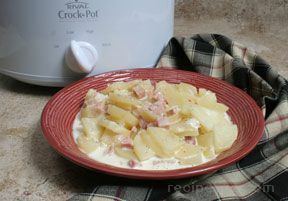 The content levels will vary depending on the type of ham product, how it was cured, and the amount of water added.